Beautiful and skillfully designed modular home with cathedral ceilings, large living room, great kitchen island work top and built in bookcase, attic access, numerous custom options including a separate den and stairwell to basement. Built by Skyline Homes, Sugarcreek. Ohio, and for sale by retailers in Ohio, Kentucky, West Virginia, Pennsylvania and Indiana. 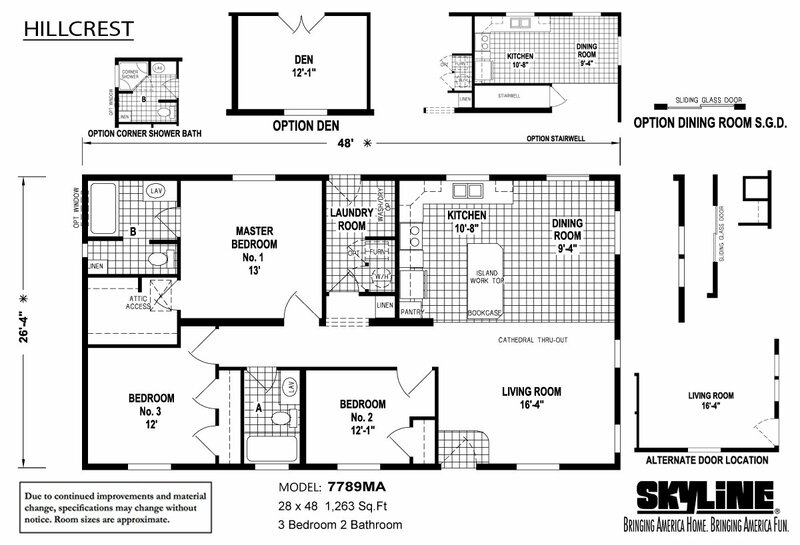 Extra large modular home with king sized family spanning full width of home, available with fifth bedroom, optional gourmet kitchen and numerous and other customizable options in this truly grand home built by craftsmen at Skyline Homes in Sugarcreek, Ohio and available for sale by retailers in Ohio, Kentucky, West Virginia, Pennsylvania and Indiana. 24’ wide family home with three large bedrooms, spacious living room, elegant well-appointed kitchen with large island work top. Optional covered porch, and front entry sliding glass door, ideal for manufactured home park placements. Offered by Skyline Homes building facility located in Sugarcreek, Ohio, and available for sale throughout Ohio, Kentucky, West Virginia, Pennsylvania and Indiana. Skillfully designed 24′ wide family home features spacious central living areas with separate bedroom locations, all with large walk-in closets. The homemaker will appreciate the beautiful well-equipped kitchen with handsome handcrafted wood cabinetry and top of the line appliances and fixtures. Offered by Skyline Homes, of Sugarcreek, Ohio, and available for sale by authorized retailers in Ohio, Kentucky, West Virginia, Pennsylvania and Indiana. 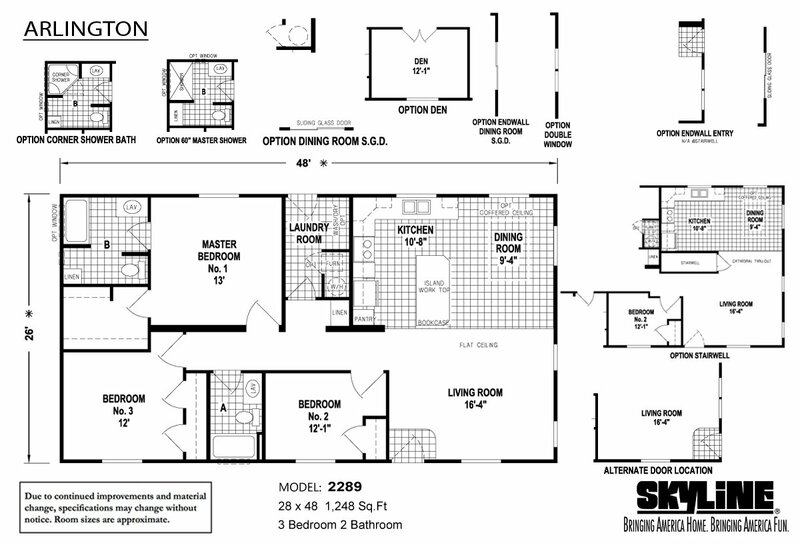 Skyline Homes popular split bedroom floor plan features spacious living areas with elegant and functional modern kitchen, formal dining room with additional built in hutch cabinets. 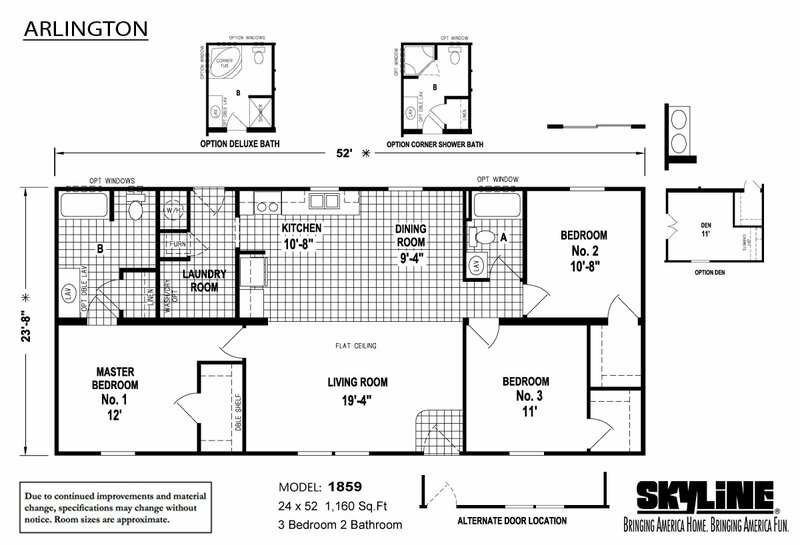 Numerous customizable options and amenities with this skillfully designed home. Offered by Skyline Homes of Sugarcreek, Ohio, and available for sale by authorized retailers in Ohio, Kentucky, West Virginia, Pennsylvania and Indiana. Great value open concept home with spacious living room, gourmet type kitchen, and privately located master bedroom suite including adjoining glamour bath. Offered by Skyline Homes in Sugarcreek, Ohio, and for sale by authorized retailers in Ohio, Kentucky, West Virginia, Pennsylvania and Indiana. Classic kitchen with island work top and built in bookcase open to living room. 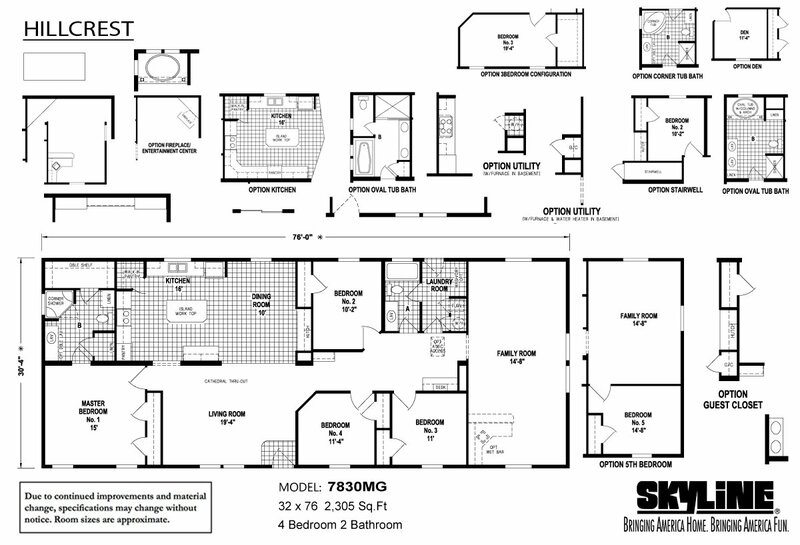 Kingsize master bedroom with extra large walk-in closet and optional luxury bath. Offered by Skyline Homes of Sugarcreek, Ohio and and available by Skyline Homes authorized retailers in Ohio, Kentucky, West Virginia, Pennsylvania and Indiana. 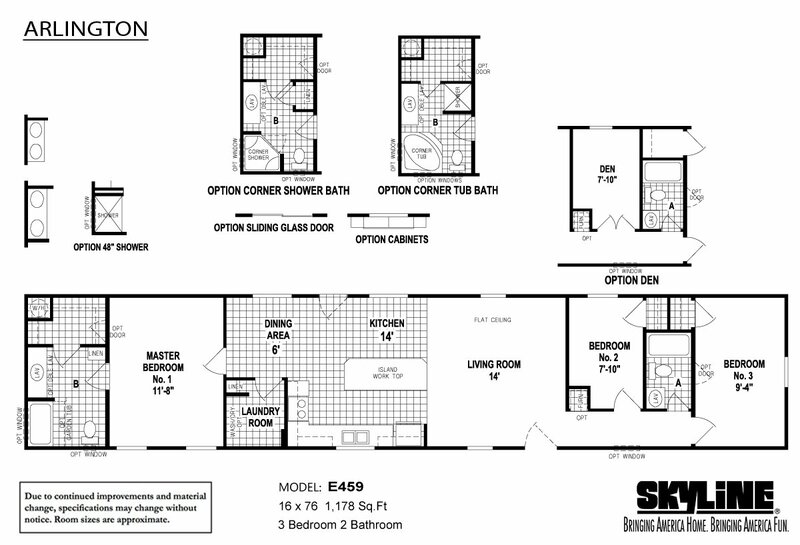 Affordable large single section home with large master bedroom and private luxury bath. Big wellbuilt home with surprisingly low price. 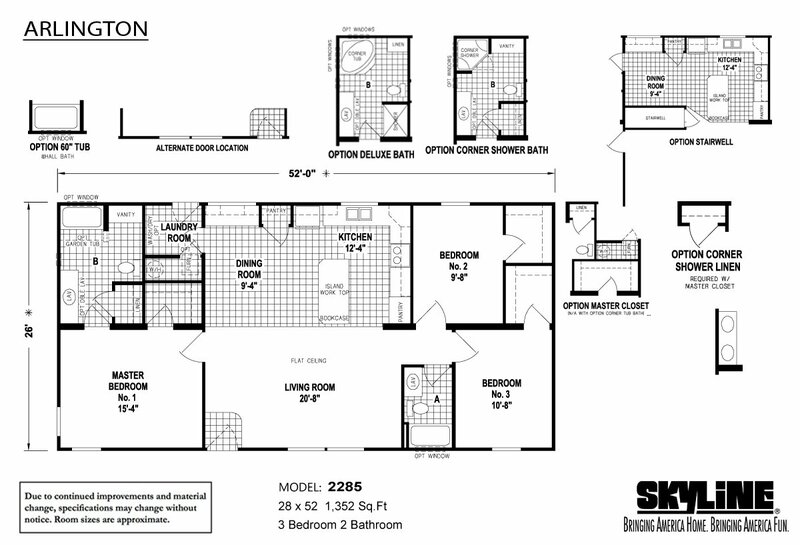 Built with care by Skyline Homes in Sugarcreek, Ohio and offered for sale by a network of authorized retailers in Ohio, Kentucky, West Virginia, Pennsylvania and Indiana. 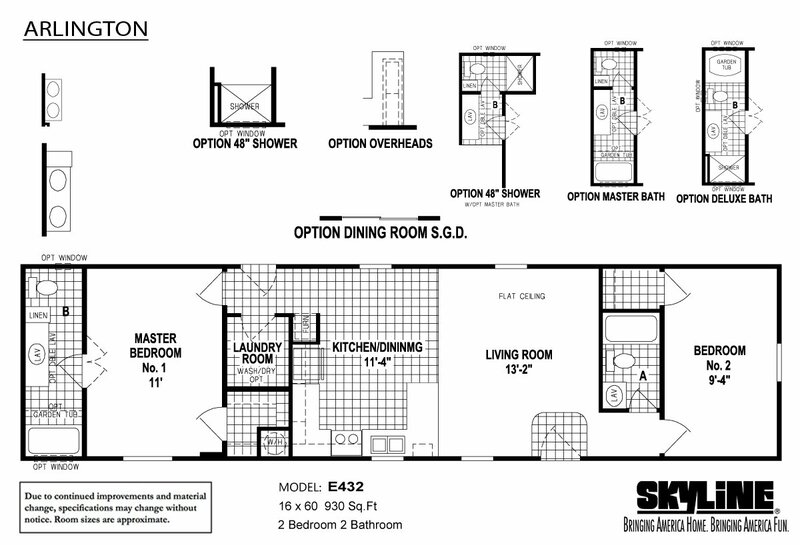 Quality affordable large single section with three large bedrooms, big living room, great kitchen and numerous custom luxury options available. Offered by Skyline Homes in Sugarcreek, Ohio and for sale by Independent authorized Skyline Homes retailers in Ohio, Kentucky, West Virginia, Pennsylvania and Indiana. Elegant front kitchen with an abundance of cabinets and seemingly endless countertop space, deluxe name brand appliances and fixtures. 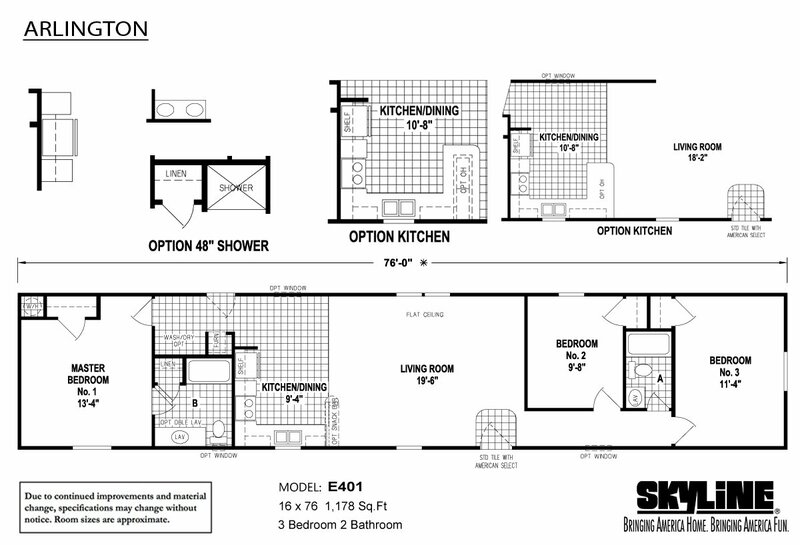 King size master bedroom and bath and lots of storage capacity throughout. Offered by Skyline Homes of Sugarcreek, Ohio and available for sale in Ohio, Kentucky, West Virginia, Pennsylvania and Indiana. 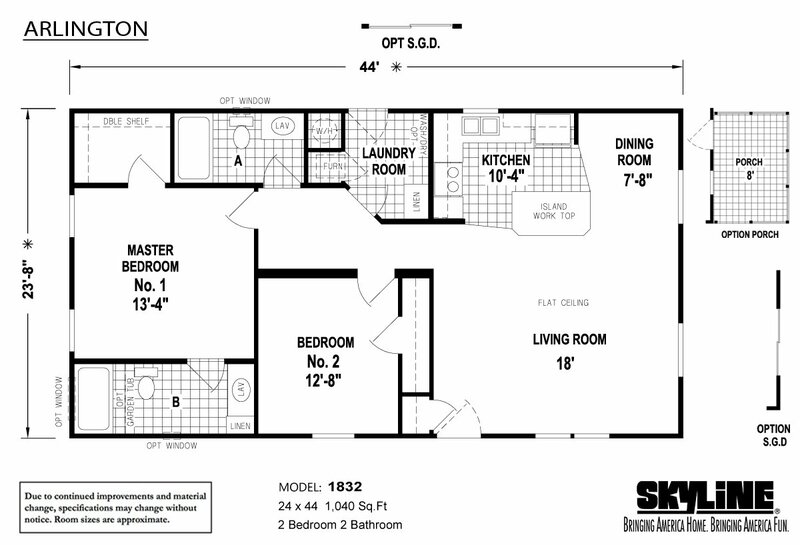 Quality built affordable single section with large separated master sized bedrooms and private baths with center living room and kitchen with large island work station. Produced by Skyline Homes in Sugarcreek, Ohio and available for sale by authorized retailers in Ohio, Kentucky, West Virginia, Pennsylvania and Indiana. 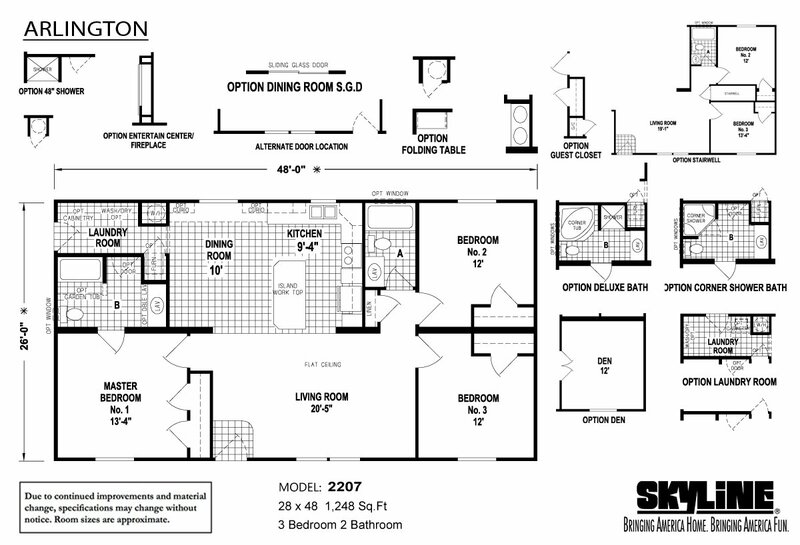 Shoppers most preferred single section floor plan. 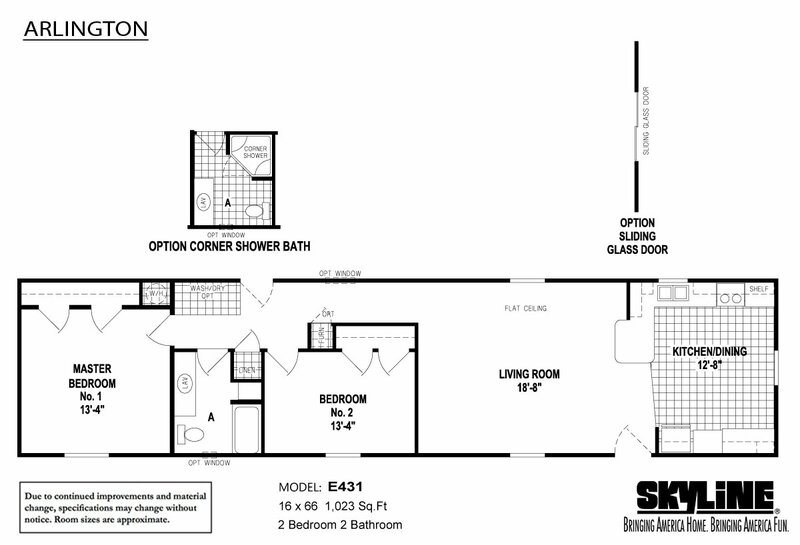 Two bedrooms and bath at front of home with master bedroom and bath at opposite. Large living room, elegant kitchen, dining and full laundry in center of home with no wasted hallway space. Skillfully designed and produced by Skyline Homes of Ohio, available for sale by authorized retailers in Ohio, Kentucky, West Virginia, Pennsylvania and Indiana.